Do you like movies like The Texas Chainsaw Massacre and The Hills Have Eyes? If you screamed with excitement then this British countryside version is just the homage you may need to start 2018 off right!! A family takes off on a camping trip, one where the moms trying to please her man and his particular wishes of no technology to be one with nature and, each other. Only he’s not the nicest about it. Bickering should be expected as most of us disagree on some degrees with family members when left to actually engage with one another. When an eerie tent mishap takes place that leads to needing some medical attention they walk dead into an unwelcoming reception. Has relatives across the pond, who also like to wear other peoples’ faces and ripping their limbs off to make a profit. Once caged in they must stop all the yelling and, figure out how exactly to survive. Some of them are smarter then others. Maybe quite possibly there’s also enough enemies in this film to keep you wanting more blood to shed. There’s always one character who is well versed in horror lore that may come in quite handy. Then there’s the fighter who unexpectedly knows how to remain calm and cunning. There will be torture. There will be misidentified corpses. There will be revenge. There will also be alot of pleasant continuing full circle storyline that comes full bodied seasoned for the horror fans who love all the irony. Some will make it out alive and some reap what they sow. Either way take a walk through this farming countryside, plant yourself a seat and enjoy the sounds of a Chainsaw putting in overtime!! 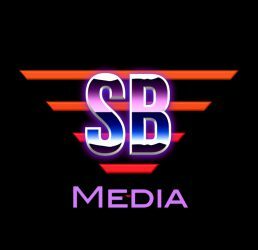 Let us know what you think of how we are doing here at @scarybasementmedia and how we can make your visits more torturous?